We are taking bookings for 3 nights (Fri - Mon), 4 nights (Mon - Fri), and 7 days (Saturday – Saturday during peak season only) The main person booking must be aged 21 or over. The caravan is available from 2pm on the day of arrival, please collect keys from Reception. On the day of departure keys must be returned to main reception by 10am. 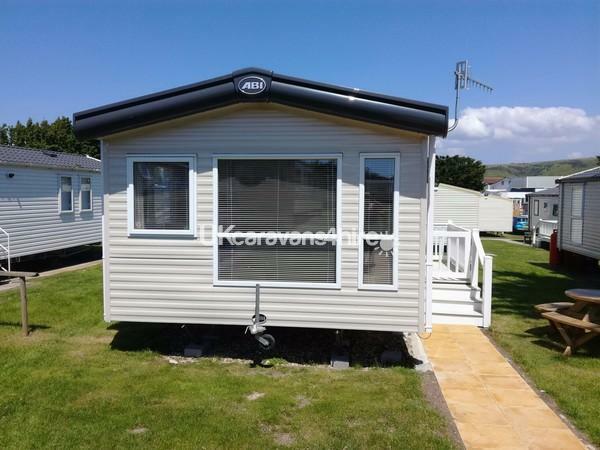 Holidaymakers will be held responsible for any loss or damage to the caravan during their stay. 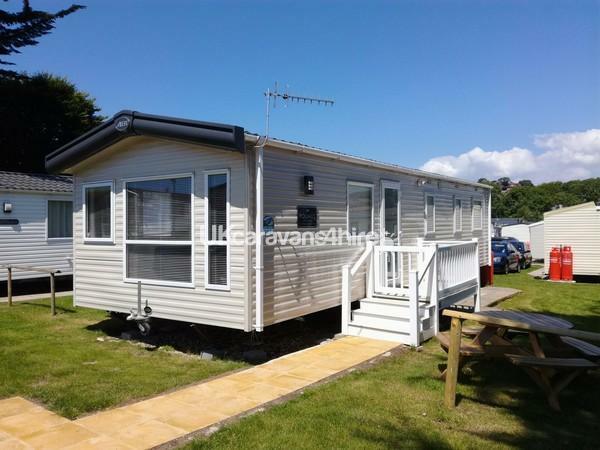 Our luxury privately owned caravan is situated at Haven’s 4 star Weymouth Bay Holiday Park. 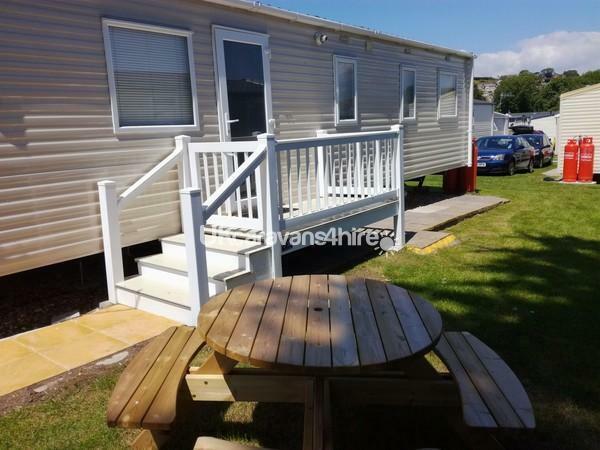 Our caravan is ideally situated in one of Haven’s top pitches, close to the facilities of the park and with only a ten minute walk to the beach. 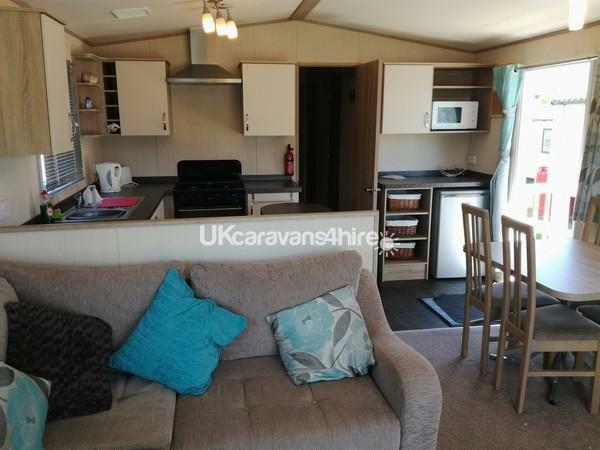 It is a modern and spacious three bedroom (1 x Double, 2 x Twin) 8 berth Prestige Abi Polaris Caravan, with a spacious bathroom, cloakroom, open plan living room/kitchen and dining area. 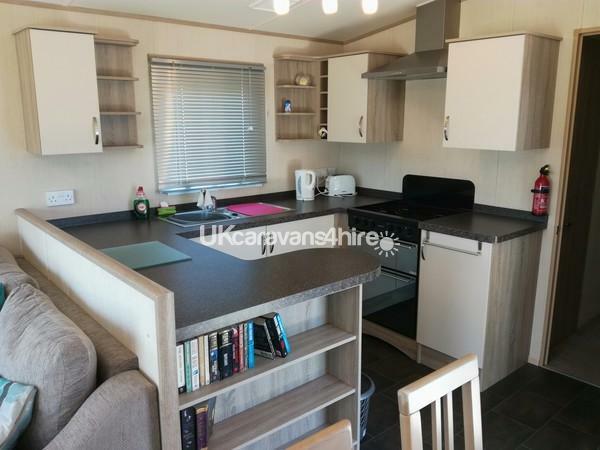 This caravan benefits from double glazing and gas central heating. 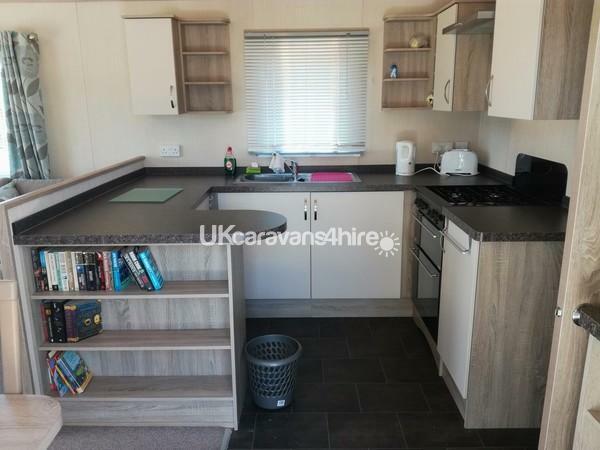 The kitchen comes fully equipped with cutlery, crockery, utensils, fridge with freezer compartment, full size oven and gas hob, kettle, toaster & microwave. The dining area consists of a table and 6 chairs. 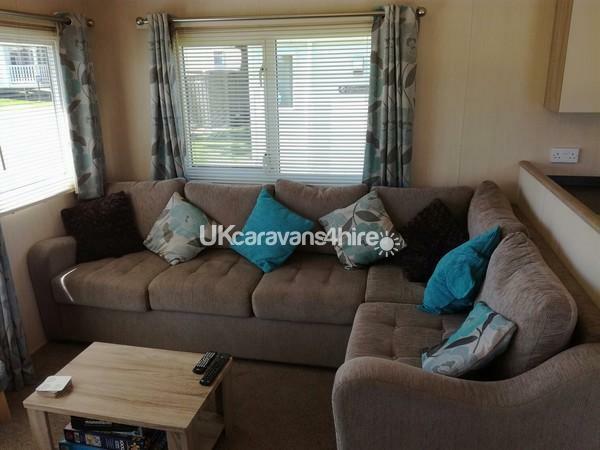 The spacious lounge consists of a large corner sofa with a pull out double sofa bed, coffee table, 32’ flat screen TV with Freeview, DVD player, Bluetooth speaker and electric fire place with surround. 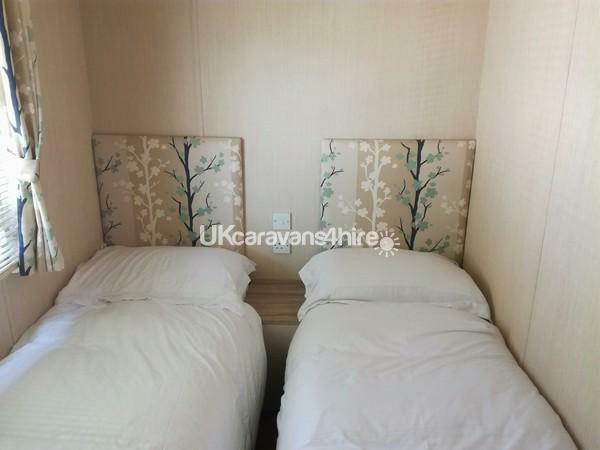 The double bedroom has a fitted wardrobe and bedside cabinets and the twin bedrooms have a wardrobe and bedside cabinet. The main bathroom has a modern white suite consisting of toilet, wash hand-basin, and walk in shower. 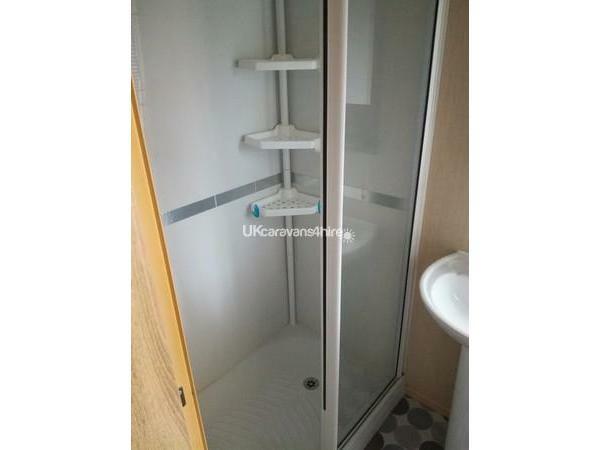 There is also a separate cloakroom with toilet and wash hand-basin for added convenience. 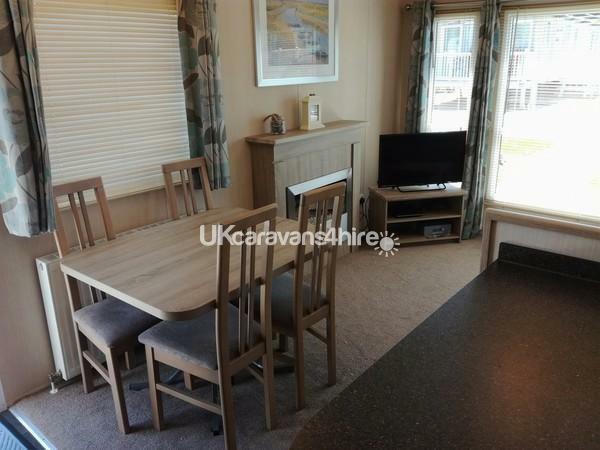 There is plenty of space outside the caravan, laid to lawn with a picnic table for the whole family to enjoy. Duvets and pillows will be provided for your stay however you will need to bring your own bed linen, towels and tea towels. 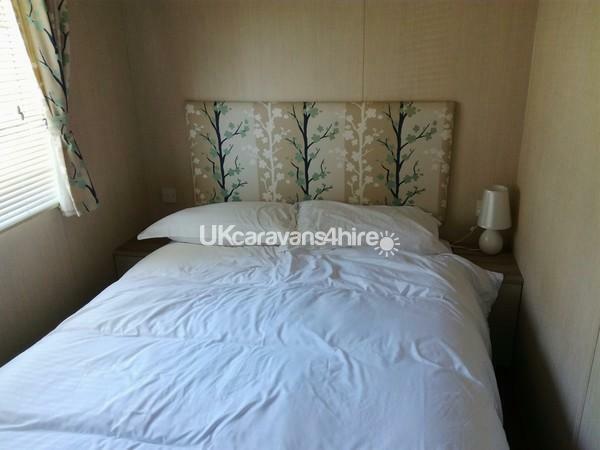 Bed linen can be hired directly at a charge from Haven if required. The cost of your holiday does not include access to Haven’s entertainment complex. Fun passes can be obtained directly from Haven reception (Tel: 01305 832271) if required at an extra charge. These also give you access to the neighbouring Haven Seaview Park. The Park has a sign posted pathway to Bowleaze Cove (approx 10min walk) and there is a bus stop just outside the main gates for Weymouth, Portland and surrounding areas.